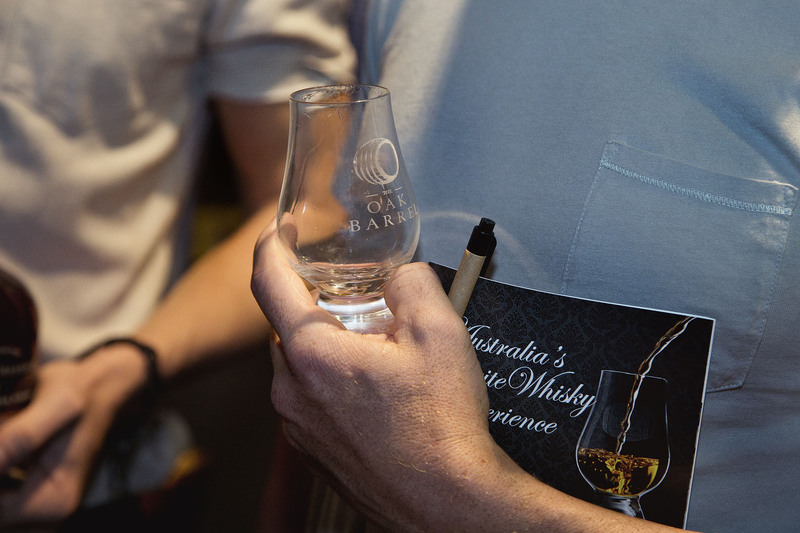 At this year’s Sydney Whisky Fair we will be bottling no less than three single cask releases exclusively for the event. While we’ve kept them under pretty tight wraps to date, we’re very excited to confirm that one of the three is a “very Australian”, but somewhat secret whisky. We went through a number of cask samples throughout the year (from Scotland, Australia and elsewhere) and as well as sampling these in house, we sought the opinions of our close friends and fellow whisky fiends. Rich, spicy, sweet and full-blooded, there’s no denying this has come from home. That’s a pretty remarkable response given the relative youth of the Australian whisky industry as we know it today. When the feedback turned to the fact that this was a very good example of that emerging Australian style, it became pretty apparent that this was something we needed to bottle. Yes, “Cask 37” is Australian. It was distilled in January 2010 and poured into a 100 litre ex-sherry cask. Having been bottled last week (the first week of August) it’s a little over six-and-a-half years old. In that time, it spent quite a few days in a warehouse that experienced “quite a few” 40 degree Celsius and above days. The distillery that “Cask 37” was distilled in is now closed – there is a finite amount of spirit available from the distillery. We’ll disclose the distillery and location on the side of the bottle, but for now we’d like to keep you guessing. The distillery comes with a bit of pedigree too. Jim Murray once wrote in a previous edition of his Whisky Bible that the distillery had produced “One of the most astonishing whiskies it has been my honour to taste.” The real trainspotters might be able to pick the distillery from that line alone. “Cask 37” has been bottled at 55% (down from the natural cask strength of 67%-odd). Although we arguably prefer the complexity at even lower with a few drops of water, we wanted to give you the option. The cask yielded 103 bottles at 700ml. The label artwork has been drawn by Sydney artist Hannah Marjorie, specifically commissioned for her unique Australiana-style. A sneak-peek of the artwork adorns the top of this article. Available to taste exclusively at this year’s Sydney Whisky Fair, we’re hosting a pre-sale of a small amount of the bottles so members can secure theirs and pick it up on the day (or after). There is a special pre-sale and Fair price for members of $199. Only available to members, there are no further discounts and a maximum of two-per-person. If you do not manage to secure a bottle during the pre-sale, the majority of bottles will be available to purchase at the Fair. Nose: Perfume and oak. Nutmeg spices. Cloves. Pretty typical Aussie cask, but there’s a little bit of subtle maturity underneath. Raisins. Vanilla. It’s either a port or a sherry cask, and the oak is pretty prominent. It’s soft though. Palate: Rich and spicy. Oak tannins. Brown sugar. With water it’s still syrupy, nice jolt of spice and then much smoother into the finish. Finish: Drying and of a really good length for an Australian whisky. Somehow a little oily as well – quite syrupy. Lingers on the sides of your mouth. With water the fragrant oak return. Touch of moss, really enjoyable. Probably enjoying this more with a dash of water, brown sugar really lingers.